At 32-square miles, Lake Thingvallavatn is the largest lake in Iceland. The huge and fertile water mass provides an excellent environment for giant wild native brown trout up to 36-pounds. Lake Thingvallavatn is only a 40-minute drive from Reykjavik, the capital. Lake Thingvallavatn lies along the North Atlantic Ridge, where the North American and Eurasian tectonic plates separated from each other. Canyons and fissures mark the National Park's landscape and cut the lake bottom in many places reaching its deepest at 377-feet, with an average depth of 111 feet. The lake's catchments area is 90 percent underground, and the water from thousands of cold springs has a constant temperature of 37 to 39'F. 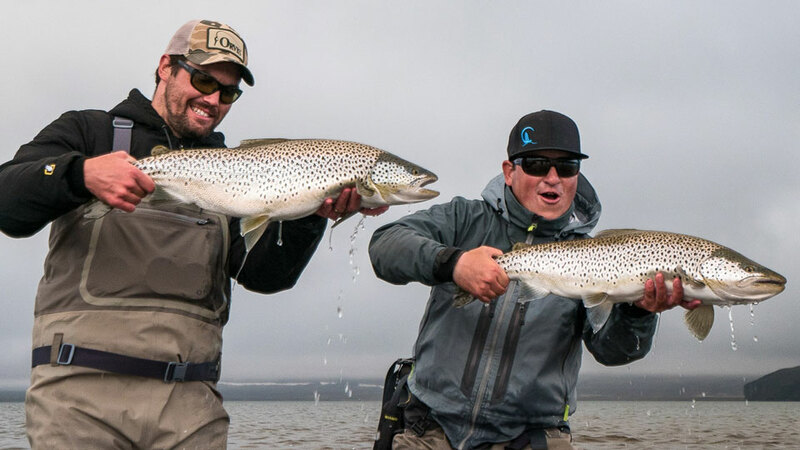 The spring water is filtered through layers of the surrounding lava making the lake gin clear and large browns averaging 8-pounds easy to spot. Although this trip is all about brown trout, it's interesting that three out of the five of Iceland's freshwater fish species live in this lake—brown trout, Arctic char, and the three-spine stickleback. 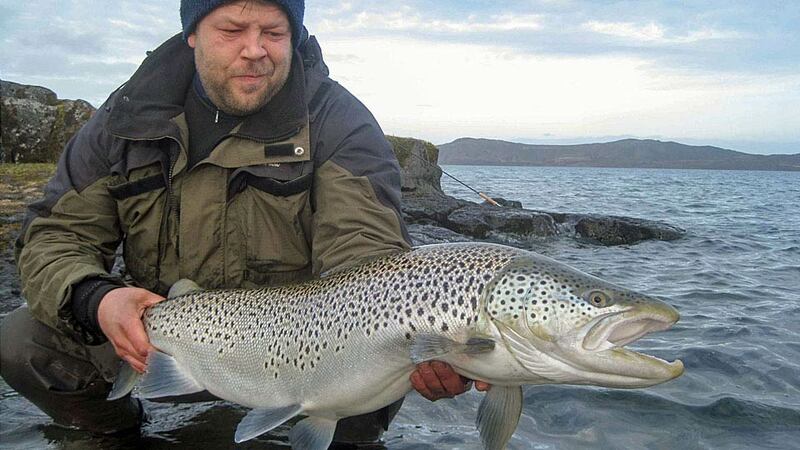 Fish Partner's, the outfitter, has exclusive beats on Lake Thingvallavatn. 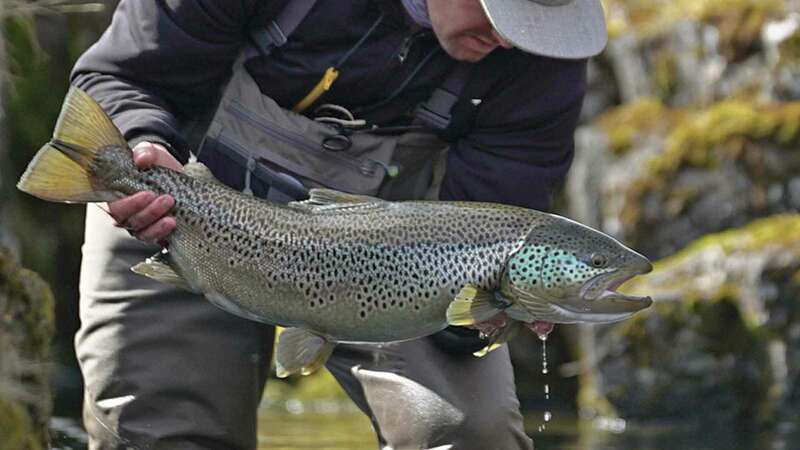 With streamers, you'll target brown trout up to 36-pounds. Twenty-pounders are frequently caught in peak fishing times. 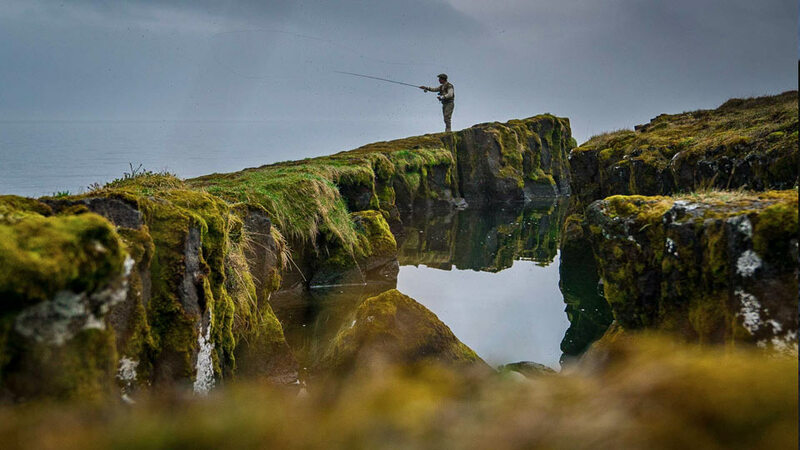 At Lake Thingvallavatn,anglers will have the option to fish into the dark, but usually stop when it gets really dark. The best fishing is at twilight—not in complete darkness. You'll be guided up to 12 hours each day. Each beat has its own season and a limit of two to six rods. All fishing is catch and release. 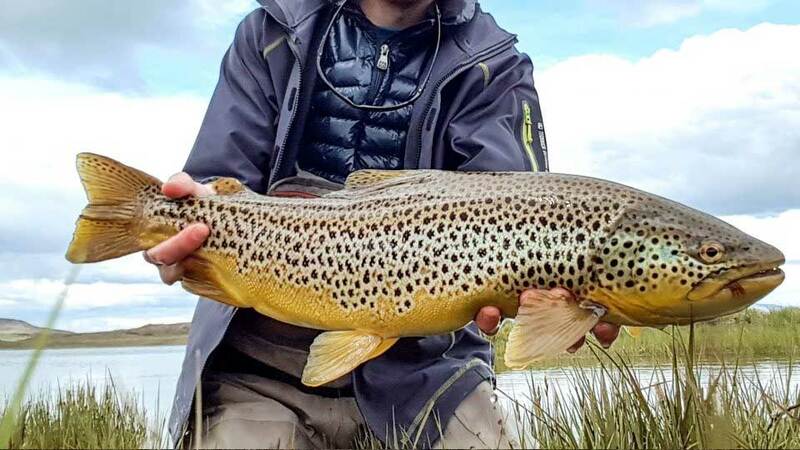 At Lake Thingvallavatn, the evenings are commonly the best time to catch brown trout, although the daytime can also be productive. Each evening after dinner, your guide will pick you up for another round of fishing, and you’ll fish until dark. Season: April 20 - September 15. May is prime time. This beat is on the north end of Lake Thingvallavatn where river Öxará, the brown trout's main spawning stream, runs into the lake. Giant trout travel in groups and are often found circling the beat. 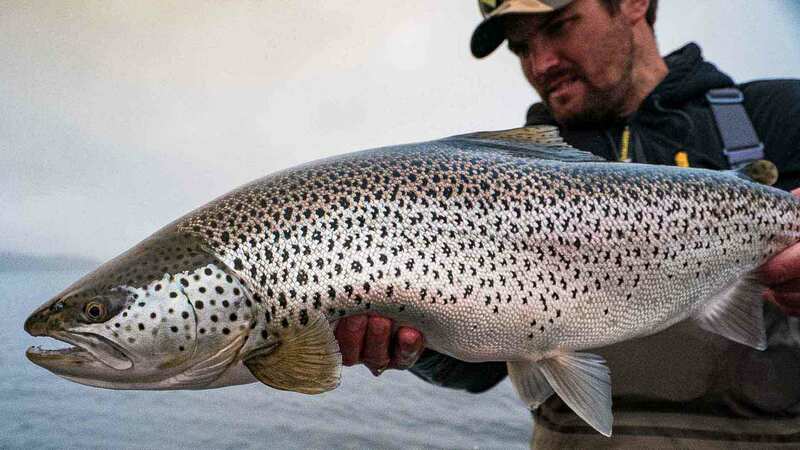 The biggest fish of the 2015 season was an immense 40-inch brown trout weighing around 30-pounds. The area is characterized by rough lava and deep underwater channels and drop-offs where the trout can be found. These channels create thermal movements of the water which allows the trout to spawn in the lake. Season: April 20 - June 15. is a shoreline in the northwestern part of Lake Thingvallavatn. The beat is known for its giant brown trout. 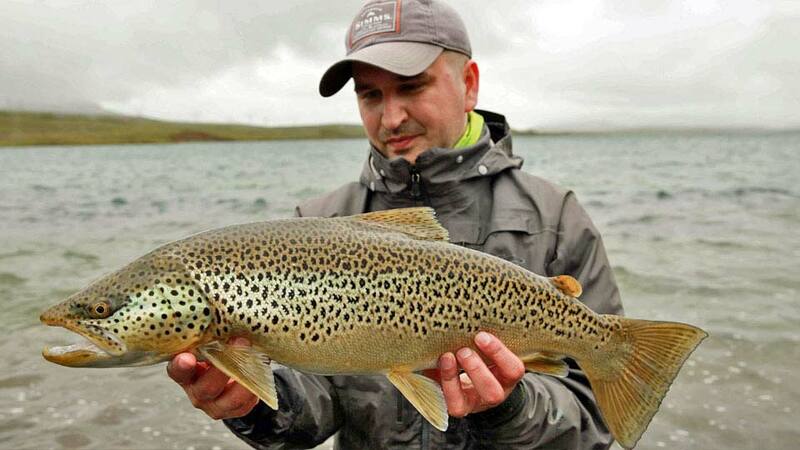 The brown trout seek nourishment in the mouth of river Móakotsá which runs into the lake. Off the Black Cliffs, anglers can wade far into the lake to a lava drop-off area where one can often find one of those giant browns. The bottom of the lake is diverse, going between lava, gravel, and sand. Since the area is relatively shallow, one can easily wade easily. Four rods are permitted on this beat. Season: April 15- September 15. 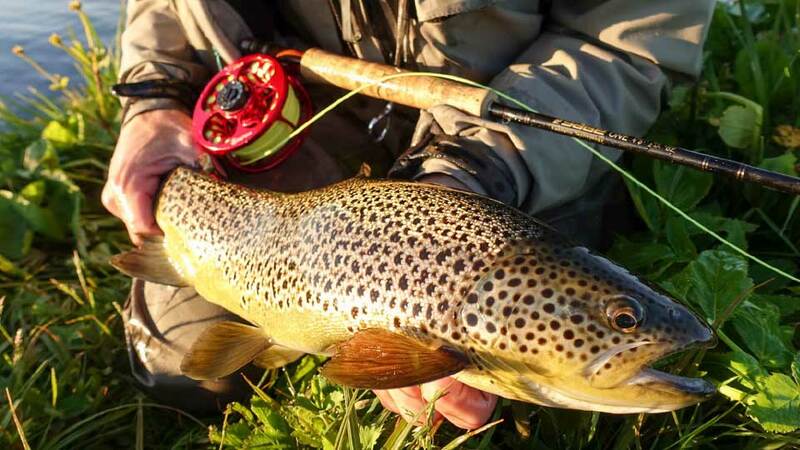 One of the best brown trout beats in the world. This beat is limited to two rods. Here, anglers use small nymphs and dry flies. Streamers can also be strong. Season: April 15 - September 15. This beat is best in the early season (April-June). This beat lies next to the famous Villingavatnsárós and is limited to two rods. Season: April 1 - September 30. 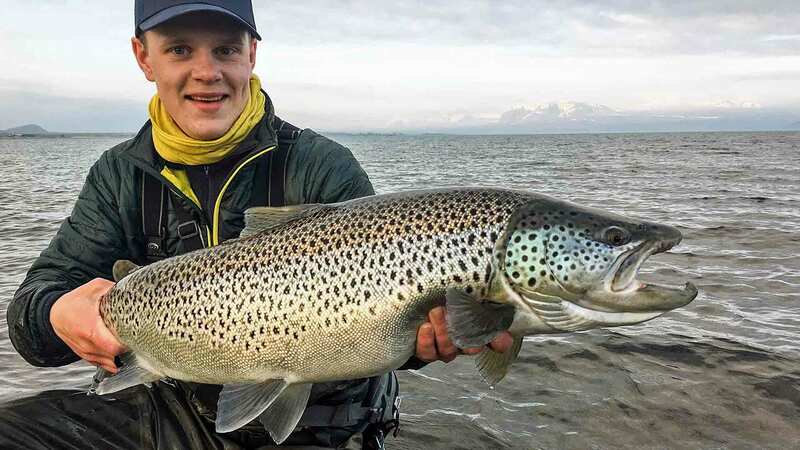 Despite being small, Lake Villingavatn is the home to some very large brown trout. It has been kept under the radar for years and has only been fished by a select few. From the Lake, a small stream runs into Lake Thingvallavatn, connecting the two lakes and allowing the Thingvallavatn trout to enter the lake. The lake is split into two beats, beat D-1 on the west bank and beat D-2 on the east bank. Each beat is fished with two rods. Season: April 20 - August 30. This new beat as of 2018 is in the southmost part of Lake Thingvallavatn where River Sog runs from the lake. The beat also stretches south into Lake Úlfljótsvatn. Excellent for Arctic char fishing, especially in June through August. Six rods are permitted on this beat. And, this is the only beat that allows spin fishing. Guides: Knowledgeable, English-speaking guides. Two anglers per guide. 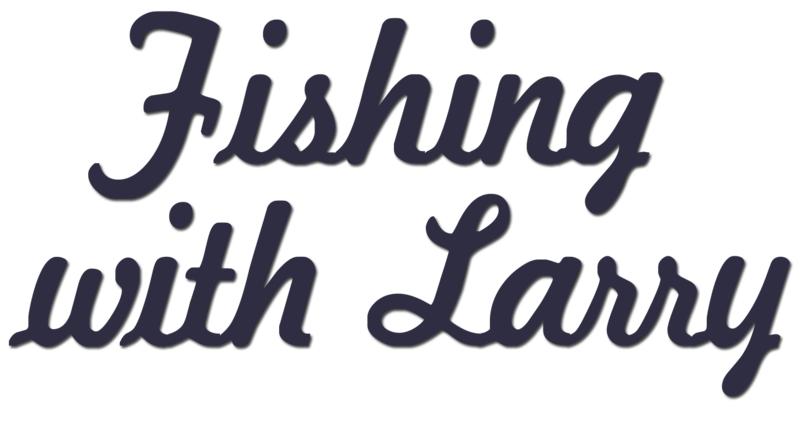 Heavy tackle is recommended: 6 to 9-weight rods and at least 12-pound leaders. Floating lines are most common but intermediate and sink-tips can also be used. Streamers are really effective, but in the right conditions, dry flies and nymphs work, as well. Day 1: After breakfast, your guide will pick you up at 9:00 a.m. from your hotel in Reykjavík or the airport early in the morning. They'll drive you to the lake to fish one of the exclusive beats. Guided hours are optional (12 hour limit per day). Each day, you'll have lunch at the lake and a world-class dinner at the hotel. After dinner, your guide will pick you up for another round of fishing, and you'll fish until dark. Day 2-5: After breakfast, you'll fish one of the exclusive beats with your guide. Lunch at the lake and dinner at the hotel. Possible sightseeing options. Day 6: After breakfast, you'll check out of the hotel and then be driven to Reykjavík for your return flight home. You’ll fly to the Keflavik Airport which is two miles west of Keflavík and 31 miles southwest of Reykjavík. 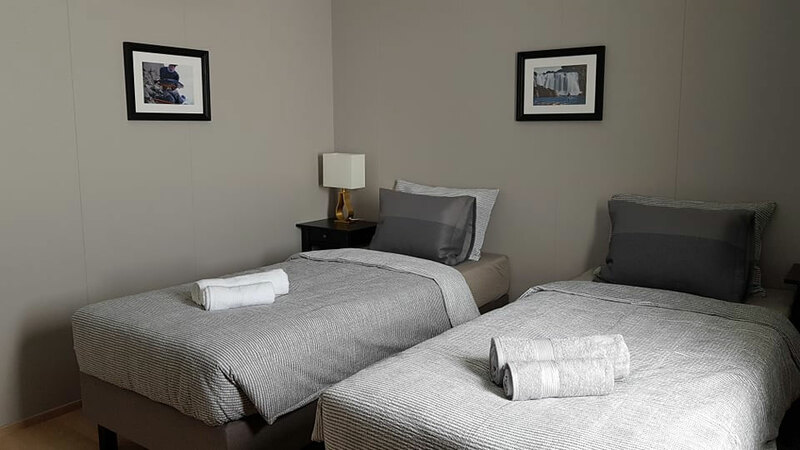 You'll be greeted at the airport by a Lodge representative, and depending on the time of your arrival, you’ll either be driven directly to your fishing location for the day or to your lodging at the Borealis Hotel. The ground transfer between Reykjavík and Lake Thingvallavatn is not included in the package, approx. USD $376.00. 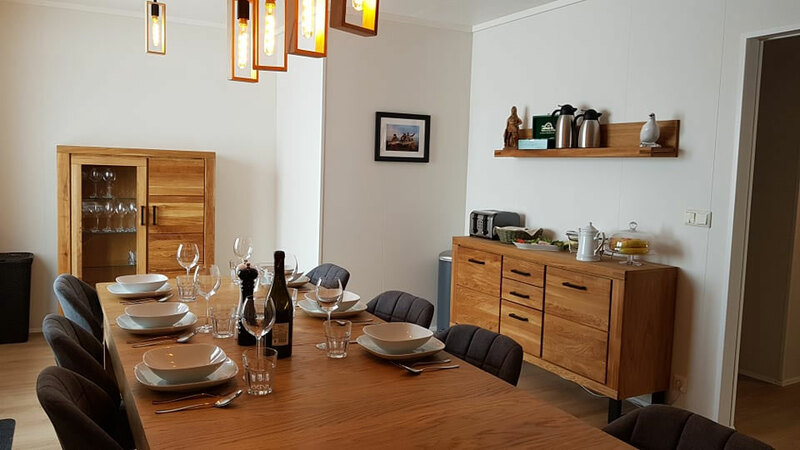 For this package, you'll stay five nights at the great Borealis Hotel in Reykjavík, which is about a 25-mile drive to the Lake. You'll enjoy the breakfast buffet and a world-class dinner at the hotel's onsite restaurant. The Hotel features a sun terrace, a hot tub, an onsite restaurant and free Wi-Fi. The package includes all meals and light refreshments during the day. About USD $4,220.00 as of September, 2018. Exchange rates vary. If you would like a USD rate quote, the outfitter will provide it to us at the time of inquiry and guarantee the quote for two months. Ground transfers to and from daily fishing beats, fully guided fishing, fishing license, all meals, double-occupancy accommodations and Wi-Fi at the Borealis Hotel. Airfare to Reykjavík, ground transfer between Reykjavík and Lake Thingvallavatn (ISK 40,000 or approx. USD $376.00 roundtrip), fishing equipment (rod, waders, and flies), alcoholic beverages, gratuities, and anything not mentioned under inclusions.